Subaru's pursuit of building motor vehicles that perform to the highest standard extends well beyond the vehicle. As an owner, caring for your new investment will help keep your vehicle in optimum condition. At John Fowler Automotive we have Subaru certified mechanics to keep your vehicle performing to exacting standards. Using Subaru Genuine parts your vehicle has the best opportunity to perform flawlessly, just like the day you purchased it. Trained technicians specialising in the repair and service of Subaru vehicles. Latest repair and diagnostic equipment. State of the art service centres. 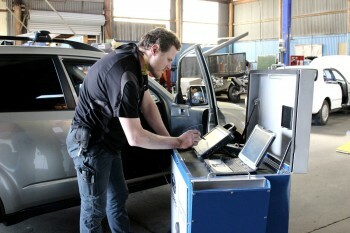 Our technicians are supported and trained directly by Subaru Australia's technical and product personnel.